A bottle of water or a bottle of wine? A twist of lemon or a twist of lime? 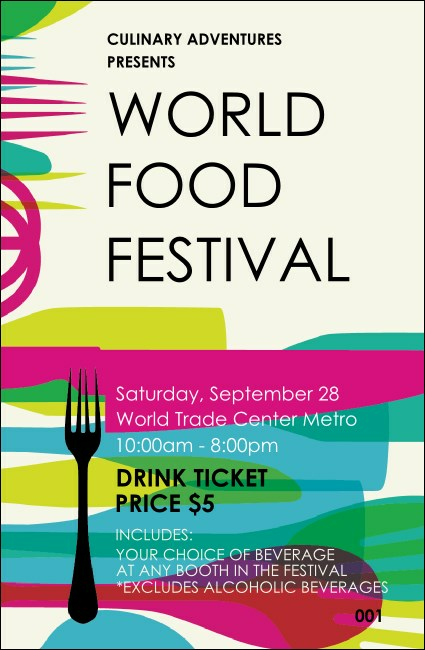 Different palates prefer different spirits, but everyone enjoys the convenience of the World Food Festival Drink Ticket. They're a boon for organizers who want to streamline bar sales, include drinks in the cost of admission, or reward special guests with free refreshments. Wash away your planning problems with solutions from TicketPrinting.com.